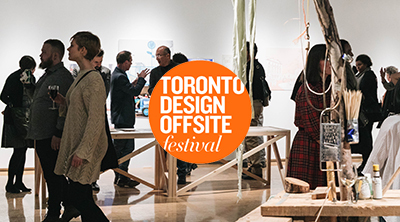 When you become a DesignTO Member, you’re directly contributing to our efforts to celebrate and support Toronto’s design community through our annual non-profit festival. DesignTO Community Members receive a free Festival Party ticket*, and exclusive discounts at local shops, galleries, and museums. For a full list of benefits click on each benefit in the chart below. DesignTO Premium Members receive all the benefits of Community Members, plus complimentary access* for themselves and a guest to DesignTO Projects at the Festival, an exclusive studio tour, a discounted Community Membership for a family member or friend, and a DesignTO Festival Guide delivered to their door. For a full list of benefits click on each benefit in the chart below. 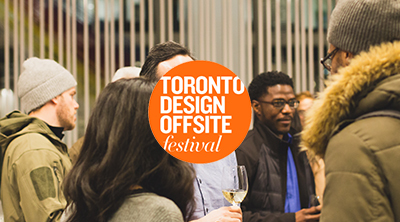 DesignTO Community Members get one free DesignTO Festival Party ticket. Premium Members receive a free ticket for themselves and a guest. This is the must-attend kick-off event for Festival Week. VIPs, designers, and festival-goers mingle and dance while enjoying drinks and an installation created by a local designer. Learn more about last year’s party here. 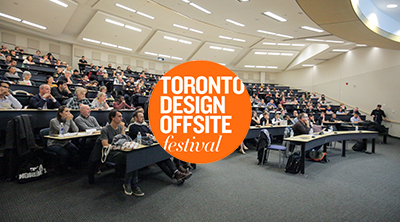 DesignTO Community Members can purchase one DesignTO Talks Symposium ticket at half price. Premium Members receive a free ticket for themselves and a guest. The annual DesignTO Talks Symposium is a half day conference featuring 8-10 speakers discussing topics of social importance. Learn about last year’s Symposium here. 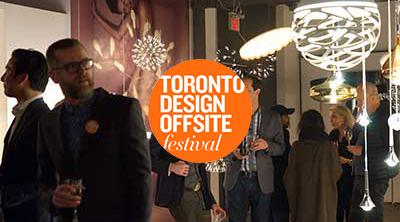 All DesignTO Members are invited to a private members’ event during Festival Week. Premium Members can also bring a guest. All DesignTO Members will receive member newsletters with exclusive content. Click here to see an example. 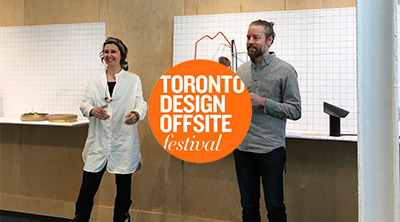 Design Exchange is delighted to offer Toronto Design Offsite Festival members 10% off DX public programs and fundraisers now until the end of 2018. 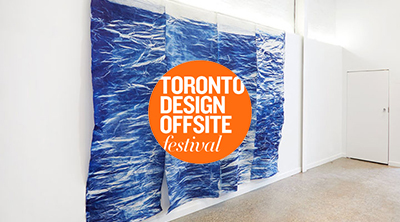 Celebrate the Art of Ceramics at the Gardiner Museum! Gardiner Museum is an inviting destination that inspires and connects people, art and ideas through clay, one of the world’s oldest art forms. Year‐round the Museum mounts special exhibitions, events, lectures and clay classes to complement its permanent collection. Valid for general admission only, not valid for lectures or special events. The Royal Ontario Museum is among the world’s leading museums of natural history, and of world cultures. Indeed, in combining a universal museum of cultures with that of natural history, the ROM offers an unusual breadth of experience to visitors and scholars from around the world. We realize more acutely now that nature and humanity are intertwined, and the ROM offers many examples in its collections and programs of these fundamental relationships. Hot Pop Factory is a fabrication studio that provides laser cutting, laser engraving and 3D printing services, helping Toronto’s most innovative creatives make their ideas physical reality. They are founded by architects and passionate about all disciplines of design. 15% discount on Hot Pop Factory’s laser cutting, laser engraving and 3D printing services. Discount applicable to orders up to $500 before taxes. Made is a design product retailer working to build a valuable resource of modern Canadian design. Handmade works and small production pieces by industrial designers, craftsmen, architects, designers and artists are given equal focus. The unique array of furniture, lighting, ceramic, glass, textile, jewelry and home accessories reflect original ideas and thoughtful design with an emphasis on quality and usability. Custom projects are a specialty. Excluding custom projects. Clearance items at 20% off regular price or ticket price- whichever is better. All Propellor lighting at 5% discount only. MADE reserves the right to limit or refuse discounting. Partial began in 2016 with the simple goal of bringing more art out of artists’ studios and onto the walls of homes and businesses in their city. Partial is a platform for local artists and art-seekers to connect and engage in genuine, accessible interactions. Thanks to smart try-before-you-buy options and tons of artwork ready to be discovered, original art is finally just around the corner. The WhiffLoves™ Collection are custom aromas that change the decor of a room one scent at a time, creating exciting scent solutions. Azure is one of a handful of influential design magazines with a global audience — the only one of its kind in Canada. In eight visually stunning issues per year, AZURE covers insightful designer profiles and features on beautiful, functional homes and offices, leading-edge innovations, emerging trends and design issues that relate to our changing society. v2com is the international newswire specializing in the distribution of design, architecture and lifestyle press kits to the media. Take advantage of an efficient distribution services to promote, in words and pictures, your project to the media. v2com distributes your design to over 5,500 publications in more than 93 countries. An easy and affordable way to get published and to enhance your reputation. 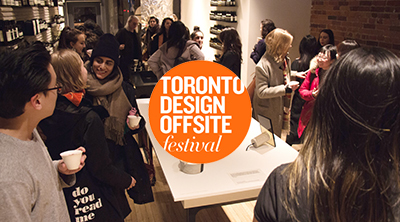 DesignTO Premium Members received free entry for themselves and one guest into DesignTO Projects including DesignTO Tours, DesignTO Talks Symposium, DesignTO parties, and more. 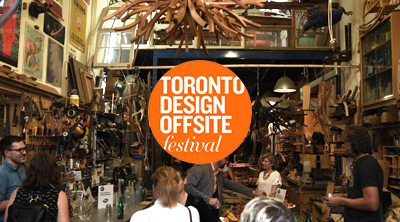 DesignTO Premium Members and a guest are invited to a private studio tour during the calendar year. Premium Members will receive recognition of their support on the DesignTO Website. Click here to see where you will be recognized. DesignTO Premium Members can purchase one Community Membership at half price ($25) for a friend or family member. 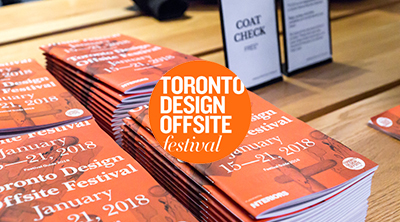 DesignTO Premium Members are mailed the printed Festival Guide in January. Joining the membership program does not grant you voting rights or membership in the corporate structure of DesignTO. * Members must register for their tickets to these events in advance. Members will be contacted through email with links to register for events free of charge. If Members do not preregister, they will not be provided with free access to these events.